Viktor & Rolf fragrance and perfume list. 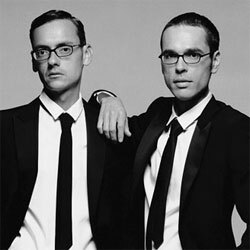 About Viktor & Rolf As the world-renowned wizards of conceptual fashion, Viktor & Rolf is known for inventing surreal twists on conventional design. Having studied every facet of fashion and art, this talented duo from Amsterdam blends their unique sensibility with the purity of the cut, finding the right balance between conceptual and commercial. In this same vein, Viktor & Rolf created their first groundbreaking fragrance, Flowerbomb, an addicting floral that's caused as big a sensation with fragrance addicts as their dreamy, feminine designs have with the fashion world.